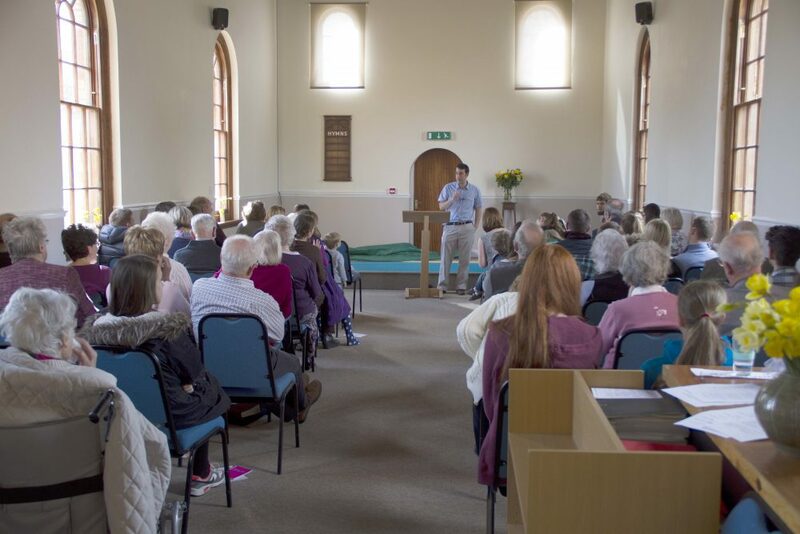 Welcome to Wellington Chapel | Wellington Chapel | A Bible-believing evangelical church in the village of Wellington, near Hereford and Leominster. We are a church located just north of the city of Hereford. We believe that Jesus is good news for the world. We want to be led by God, through his Word, the Bible, as we seek to live as a community of his people and make him known. You may also be interested to listen to some of our sermons or read our latest news. We meet at Wellington Chapel, Wellington, Hereford, Herefordshire, HR4 8AX. On Sundays we have services at 10.30am and 6.00pm. We also have midweek meetings and children’s groups. We meet together to worship God and to know more about him through his Word, the Bible. We do this not because we’re good people but because we know we’re sinners, saved by God.